Double Fine and Bandai Namco had a righteous GDC 2019 announcement. A roguelike named Rad, which debuted during the Spring 2019 Nindies Showcase, is coming to PS4. Set in a post-post apocalyptic world, you are dropped into a procedurally-generated radioactive wasteland, The Fallow, which houses all sorts of strange dangerous creatures. Inside is a solution that will help heal the world, but as you go deeper, gnarly toxins will alter your human form and turn you into a horrible creature. Wielding a bat and the new abilities will you gain from your mutations, you face the horrors of the wasteland. Rad will have permadeath, so each character you will play as will be different and take up the mantle to save humanity. The different bats you collect will pass over to the next player. Every day, there will be challenges with predetermined factors that will compare your skills to those of the rest of the world via leaderboards. Rad will be oozing onto the PS4, PC, Switch, and Xbox One in Summer 2019. There will be a closed beta on April 8th, 2019, but unfortunately it’s only set for Steam at the moment. If you have a gaming PC, you can sign up for an opportunity to play the game early. Double Fine is also working on Psychonauts 2, which was crowdfunded by fans of the PS2 cult classic on Fig. The game will continue the adventures of Razputin after he becomes a Psychonaut at the Mother Lobe. The developer has doubled down on a 2019 release date, meaning that Double Fine will have at least two releases on the PS4 this year. 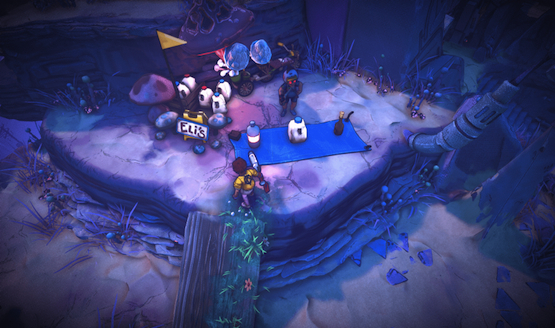 The last gameplay they showed for the platformer appeared during The Game Awards. Does this game look tight? Let us know!